“Çərpələng” (“Kite”) Centre which was created with initiative of two young ladies just a couple of months ago, gained popularity not only within children in school and pre-school age, but can not study because of different social and economic problems, children from poor families, children with disabilities and also within young teachers and education specialists. They supported development of this centre enthusiastically. This center was able to form a strong team in a short time period and became famous with its activities. Working without seeking to profit cannot remain unrewarded. 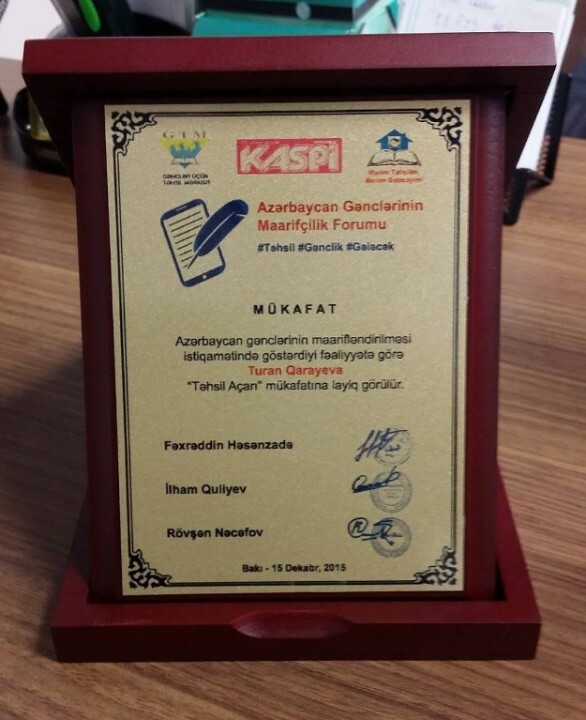 Turan Garayeva, head of the Centre accepted the annual prize “Key of Education”. This prize was presented within the frame of annual nationwide Youth Enlightenment Forum. 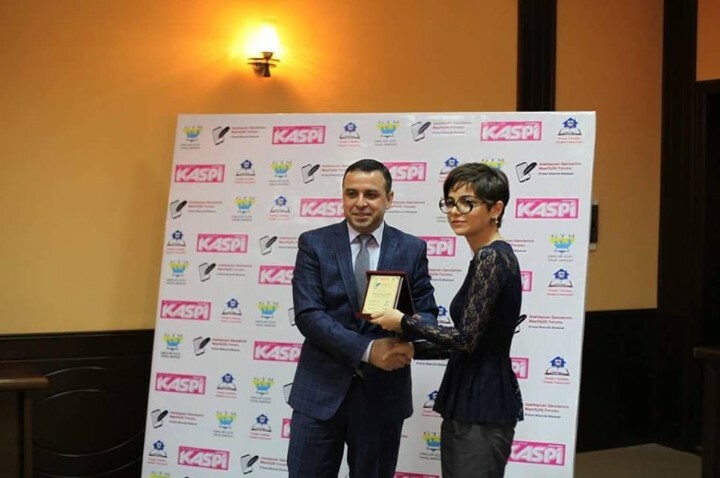 T.Garayeva mentioned during her speech “This prize is symbol of high appreciation to our work and everyone labouring during development of the Centre deserve this prize, including staff of Azerbaijan Children Union (a member of the Caucasus Network for Children), they provided an office for the centre. “We will continue our work for enforce our goal which is to create equal opportunities for education of children from low-income social strata of society”, T.Garayeva added to her speech.